Here are the top 10 most popular places to retire among our users. Each city is special in its own way, with unique benefits for baby boomers who are interested in relocating for their retirement. 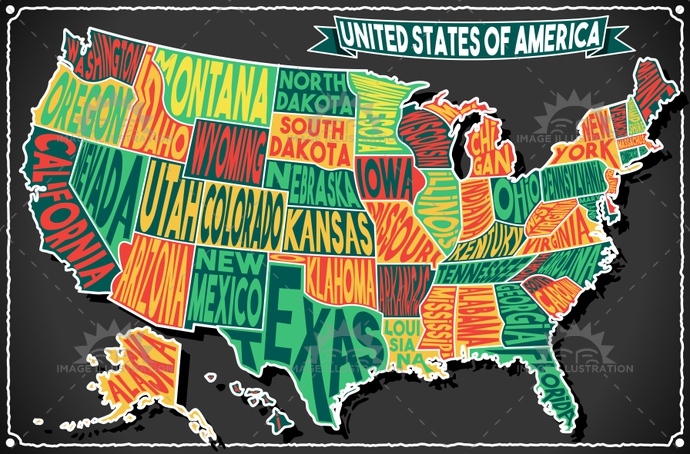 After extensive research on all 50 states in the US, we've identified the best retirement locations in each state, from small college towns to large metropolitan cities, and presented the pros & cons to retiring in each. Our users have taken a long hard look at all these locations and suggested their top spots for retirement. Some of these cities might come as a surprise, like places in the midwest like Wisconsin and Idaho, while other retirement destination staples in Florida and the Atlantic coast sell themselves. A resident, and close personal friend recently told us that "I have been all around the world, and Sarasota is the only place that I can truly call perfect." From award winning beaches, to outdoor activities on the Gulf of Mexico, Sarasota recently become a top destination for retirees who are looking a hot retirement! History. Beaches. College town. Atlantic coast. All 4 seasons. If these are important factors to you when deciding where to retire, you're in luck! Wilmington has more history than most suspect, as well as a bustling social scene with a laid-back beach attitude. Raleigh, North Carolina is the ideal retirement city for retirees who still want to be out and about. The city has no shortage of cultural activities and a great food scene, all while retaining its Southern charm and laid back attitude. Plus, with 20+ golf courses, Raleigh made Golf.com's list of 50 best golf cities. All of this combined with mild winters and a low cost of living makes for an excellent choice for babyboomers. Want to live in nature, and still have direct access to five star meals and cultural activities? Colorado Springs residents enjoy an abundance of crisp mountain air, coupled with a lower cost of living, general tax friendliness and unique cultural activites. Colorado Springs is perfect for retirees who want to be part of the great outdoors, all while keeping close access to stellar amenities. The city has a diverse range of neighborhoods, all with unique characteristics. Sunny Southern California...say no more, right? With picturesque beaches and endless outdoor & ocean activities, San Diego truly embodies the quintessential California lifestyle. One of the biggest benefits of living in San Diego is the impressive cultural offerings and amenities of a large city. Why wouldn't everyone retire in San Diego you may ask? Higher taxes and cost of living. San Diego has one of the highest cost of living of all of the cities we cover; but if you're in love with California, this is the ultimate retirement city! Founded in 1670, not only is Charleston steeped in rich history and culture, but it is also one of the most pleasant to live in, winning Travel + Leisure's "America's Most Friendly City" award in both 2011 and 2013, and "The Most Polite and Hospitable City in America" by Southern Living magazine. Downtown Charleston is easily walkable and bikeable, and has a high concentration of the city's unique history and culture. Charleston has seen an increase in retirees due to its access to waterways and variety of price points. Portland, Oregon, is one of the most unique retirement cities our list, and many believe is one of the best places to retire. Capturing the essence of the Pacific North West, Portland has a thriving arts, cultural and culinary scene with excellent breweries, coffee shops, distilleries, and microbreweries. Portland has a very free spirited feel, and the city's youthful population makes a definite impact in its vibrant culture. Austin, Texas has been an increasingly popular destination for retirees. The city's low cost of living, warm weather, college town, stellar restaurant scene, and rich culture make the city an excellent choice for aging individuals from all walks of life. The economy has been booming in recent years, as many tech companies were either founded in or relocated to the area due to the city's general tax friendliness. Home to the University of Wisconsin, picturesque Madison is the second largest city in the state. Being a college town means that local residents enjoy a variety of restaurants, brewpubs, cafés, performances, sporting activities and bookstores. With direct access to Lake Mendota, those who enjoy being outdoors and near the water (or on a boat!) will love everything Madison has to offer to retirees. Perfect for nature lovers, Boise ID may be an excellent retirement option for you. The city of Boise is the most populous in Idaho, with an added bonus of having the stunning Rocky Mountains as a backdrop. For those who do enjoy spending time outside hiking or skiing, with 104 parks in the Boise area covering almost 2,000 acres, there is no shortage of new areas to explore in summer or winter. Boise has easy access to the Boise River Greenbelt system and has several shopping and dining districts.